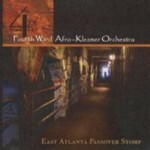 The 4th Ward Afro-Klezmer Orchestra is an original Atlanta musical entity; a nine piece jazz orchestra playing original compositions and arrangements that combine West African influenced rhythms with Eastern European Klezmer melodies. The 4th Ward A.K.O., led by trumpet player/composer Roger Ruzow, boasts a roster of veteran Atlanta talent which features Colin Bragg (guitar), Chris Case (keyboard), Jeff Crompton (clarinet, alto & baritone sax), Ben Davis (tenor sax & clarinet), Chip Epsten (violin). Eric Fontaine (tenor sax), Ben Gettys (bass), Keith Leslie (drums), Bill Nittler (clarinet, baritone sax), and Blake Williams (trombone). The A.K.O. ensemble contains former and current members of, Noot d’ Noot. Cadillac Jones, Gold Sparkle Band, Home of the Wildcats, Perkenjie Shift, Bazooka Ants, Samada Trio, Chilli Willie Blues Band, Twittering Machine, Standard Deviation, and Nu South Subterraneans. All About Jazz musician pages are maintained by musicians, publicists and trusted members like you. Interested? Tell us why you would like to improve the 4th Ward Afro Klezmer Orchestra musician page.